Autodesk Maya for Mac 3D modeling, animation, rendering, and visual effects software offers artists an end-to-end creative workflow. Maya 2013 software is the first release to unify the Autodesk Maya Complete 2009 and Autodesk Maya Unlimited 2009 feature sets, advanced matchmoving capabilities, and high dynamic range compositing into a single affordable package. Also included for a complete CG workflow are 5 additional mental ray for Maya batch. ...... network render queue manager. Autodesk Maya for Mac 2013 offers artists an end-to-end creative workflow for less. 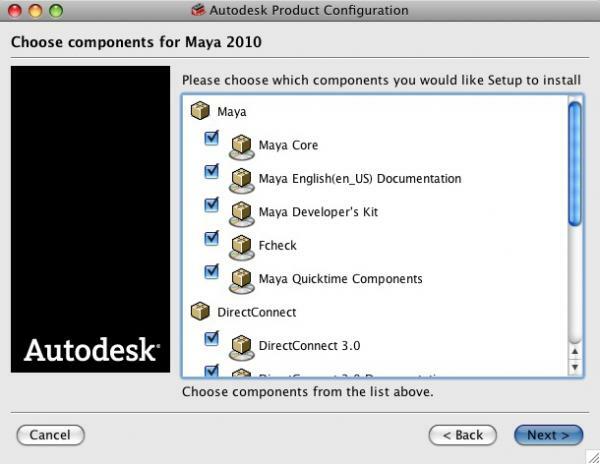 What's Maya for Mac 2013 new? Advanced simulation tools - Access the innovative Maya Nucleus unified simulation framework and the first two fully integrated Nucleus simulation modules (Maya nCloth and Maya nParticles) as well as Maya Fluid Effects, Maya Hair, and Maya Fur. High-performance compositor - Work interactively with visual media, regardless of bit-depth or image size, using the Maya Composite compositor. Professional camera tracking - Extract accurate 3D camera and motion data from video and film sequences and then insert CG elements seamlessly into a scene using Autodesk MatchMover software. More rendering power - Use more networked computers to render your sequences faster. Maya 2013 includes 5 additional mental ray for Maya batch rendering nodes and the Autodesk Backburner network render queue manager. Qweas is providing links to Maya for mac 2013 as a courtesy, and makes no representations regarding Maya for mac or any other applications or any information related thereto. Any questions, complaints or claims regarding this application Maya for mac 2013 must be directed to the appropriate software vendor. You may click the publisher link of Maya for mac on the top of this page to get more details about the vendor.